We offer you here the real Innichner mild, made after traditional prescription of high-class, high-class-checked raw milk of rural small firms. The Innichner mild is a mild to slightly aromatic soft-cheese with pea-shaped punching whose ripening period amounts at least 3 weeks. By the short ripening period of only 3 weeks this mild cheese kind remains smooth, soft and aromatic and shouldn't be missing at the breakfast table. The Innichner mild, as well as the Pustertaler smoked cheese as well as the tomato bear's leek cheese (also available in the shop ) Three Peaks which appeal to the customer by the taste variety as well as the quality of small, round 600 gr. forms belong to a new product line of the cheese dairy. There are already farther product variations in planning. On sale all cheese pieces are freshly cut and packed subsequently airtight - under gap. Thus we guarantee for full quality and a safe transport at your home. Buy now this product together with Romarino Mignon Cheese DEGUST ca. 180 gr. Romarino Mignon Cheese DEGUST ca. 180 gr. ready for shipment: in stock Romarino Mignon Cheese DEGUST ca. 180 gr. Felle Lagrein Cheese DEGUST approx. 500 gr. Fenum cheese Alpine Dairy Three Peaks whole loaf approx. 1,6 kg. The hay milk gives the Fenum an unmistakeable mildly spicy aroma. The soft, smooth nevertheless cut-firm dough is passed through with pea punching. Order this cheese to try. Good, fresh, creamy aftertaste. My daughter (4 y.o.) eat it all as a snack, few times a day :). Super leckerer Käse. Werde ich immer wieder bestellen. South Tyrolean witch's sausage Gruber approx. 125 gr. South Tyrolean Salami chamoix type Gruber approx. 220 gr. only 46,30 EUR / 21,05 €/kg. Sextner mountain cheese appr. 500 gr. 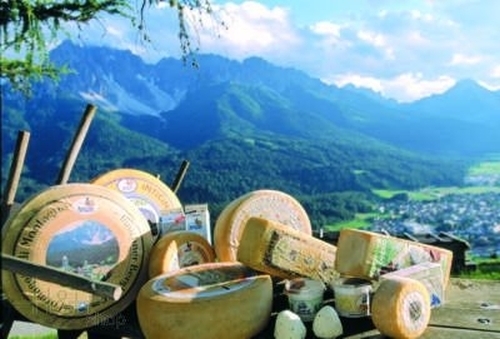 - Cheese dairy Sexten 9,20 EUR / 18,40 €/kg. Toblacher pole cheese approx. 500 gr. - Dairy Three Peaks 8,80 EUR / 17,60 €/kg. Rosengarten cheese Dairy Learner approx. 400 gr. 15,25 EUR / 38,13 €/kg. Cheese ramson+tomato Alpine Dairy Tre Cime appr. 500 gr. 11,90 EUR / 23,80 €/kg. Sextner alp cheese approx. 500 gr. - cheese dairy Sexten 9,20 EUR / 18,40 €/kg. Pustertaler Bergkäse Mila ca. 500 gr. 9,65 EUR / 19,30 €/kg. Venosta Valley Alpeggio matured cheese approx. 1 kg. 38,90 EUR / 38,90 €/kg. 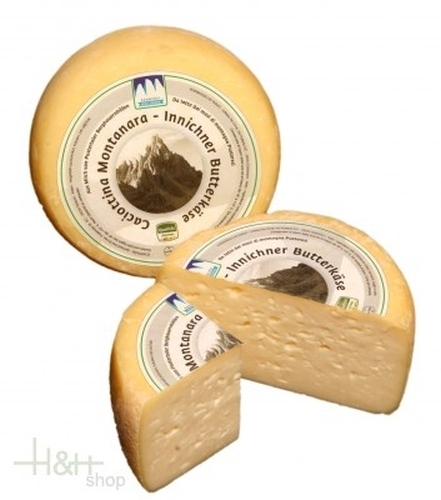 Marienberger cheese Mila approx. 500 gr. 10,35 EUR / 20,70 €/kg. Muscatis Cheese DEGUST approx. 300 gr. 13,50 EUR / 45,00 €/kg. Humulus Cheese DEGUST approx. 450 gr. 16,85 EUR / 37,44 €/kg. Cheese Bacchus with hay milk ennobled with red wine appr. 500 gr. 12,50 EUR / 25,00 €/kg. Nocillo Salé Cheese DEGUST approx. 300 gr. 9,15 EUR / 30,50 €/kg. Order this cheese to try. Good, fresh, creamy aftertaste. My ..